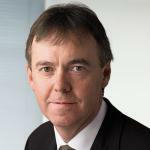 In an almost perfect case of ‘putting his money where his mouth is’, BSkyB CEO Jeremy Darroch has put all of his annual salary into a share-buying spree. He has bought £384,670-worth of BSkyB shares (at £6.41 a share) which accounts for almost all of his net salary after tax and statutory deductions. But Darroch also gets a ‘nice little earner’ in the form of an appealing £1.3 million-worth of shares, funded by Sky itself, provided Sky’s share price rises to an agreed level of growth between now and June 2014 when the shares will vest. Currently most analysts are predicting share price rises from the sub-£7 mark toward the £9-£9.99 level over the next couple of years in which case Darroch could more or less double his money to around £2.7 million.